Since Point Two introduced airbags to the equestrian world back in 2008, our goal has always been to make a recognised standard that all airbags are tested to. BETA Level 3 standard for Body Protectors is a worldwide recognised standard. The beauty of this is that if your body protector is marked with this label you can be assured that the vest you are purchasing meets the minimum requirements of the BETA level 3 standard. So no matter if you’re spending £50 or £300 you are equally protected, therefore you as a customer are able to make an informed decision when it comes to your safety, unfortunately this is not the case with air vests. Point Two’s goal when working with SATRA, was to make the step forward in creating a standard that all air vests should be tested to. SATRA is a Notified Body for various European directives including personal protection equipment (PPE) and is one of only two recognised test houses that BETA accept test results from, despite there being over 100 test houses in Europe. The chances are that your BETA Level 3 body protector was also tested by SATRA. SATRA along with the Injured Jockey Fund, Dr Michael Turner, Chief Medical Officer and Point Two, carried out extensive research to develop the M38 & M39 (jockey vest) standard which we believe all air vest should be tested to so that you, the customer are purchasing a safe and reliable product. We are pleased to see that other airbag companies are now following suit and are also testing to this standard, including Charles Owen. SATRA will not CE Mark any air vest unless it meets the M38 minimum requirements. Unfortunately vests manufactured before October 2012 (screw fitting) do not meet the minimum requirements for the SATRA M38 standard, although at the time of production this was the highest standard possible and therefore can no longer be serviced. However we are offering customers the opportunity to upgrade their old jackets for 50% off a new Point Two Air Jacket rather than spending £60 to service your old vests that do not meet the M38. Whilst we do appreciate that this is still a lot of money to spend, it is worth noting that when foam body protector and hat standards change, the manufacturers of those products do not offer this option and you are forced to spend more money to be able to compete. - Simple bayonet system making it easier and quicker to change the canister, reducing risk of improper installation. 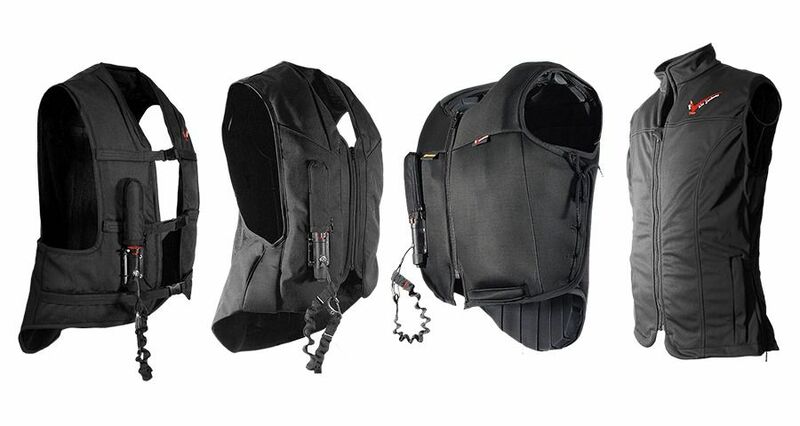 - 20% faster to inflate - Point Two Air Jacket inflates between 60 and 80 milliseconds to absorb shock, distribute pressure and support a rider's spinal column.